Wrinkle relaxing injections are one of the most popular and effective treatments for the reduction of facial lines as they can be performed quickly, are non-invasive, and most importantly, safe. We offer friendly, tailored advice and specialist treatments in non-surgical facial rejuvenation to keep your skin looking radiant and to enhance your natural beauty. Our wrinkle reduction treatments consist of a series of fine injections into the targeted areas to smooth out facial lines and give the appearance of a more youthful and rejuvenated look. Anti wrinkle treatment is provided by both Malcolm & Katie Campbell. Having facial aesthetic treatment from a dentist or dental professional means you can benefit from their thorough knowledge and understanding of facial anatomy. Dental professionals have vast experience in delivering this delicate work in a gentle and precise manner. At your first appointment, we will undertake an assessment of your skin, and listen carefully to what you hope to achieve over the course of your treatment. We will then develop a treatment plan and discuss it in depth with you before commencing treatment. 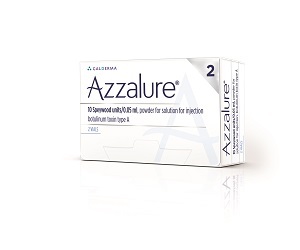 Azzalure® is a local muscle relaxant adapted from the Botulinum Toxin Type-A of Dysport®. It is specifically designed for use in aesthetic indications. Dysport® and Azzalure®, are part of the 'anti-wrinkle injection' product family, of which Botox® is the most famous. Azzalure® is indicated for the temporary improvement in the appearance of moderate to severe glabellar lines (vertical lines between the eyebrows) seen when frowning, in adult patients under 65 years, when the severity of these lines has an important psychological impact on the patient. It can be used for other areas of the face too, however. Azzalure®, like Botox®, is Botulinum Toxin Type A -- a highly purified protein which is naturally occurring. It brings about the relaxation of muscles, and hence the softening of facial lines and wrinkles. This helps to reduce the signs of facial ageing and create a more youthful look. Botox® has been used for over 30 years for cosmetic and medical uses. Side effects are rare and the injections help the body ‘naturally’ retrain itself to further reduce frown lines. Botox® treatment for wrinkles is the most commonly requested aesthetic medical procedure worldwide. It produces natural-looking results and you can achieve a more refreshed look without people thinking you've had lots of work done. The effectiveness of Botox® (and the alternative anti-wrinkle injection products) at softening the wrinkles and lines caused by the natural ageing process has catapulted Botox® and anti-wrinkle injection treatments to the forefront of skin rejuvenation therapy. You'll see a marked improvement in lines after 7 days, and then a continual improvement for up to a month. When injected, the muscles are temporarily immobilised, which means that you will not be using those muscles that form the face into a frown. Most people frown without even noticing, so our anti wrinkle treatments help to correct this inadvertent reflex. Results are visible within 7 to 10 days of treatment and typically last for three to four months. Anti-wrinkle treatments will give the face a smoother, more rested appearance. As it's a preventative treatment, repeat injections over time will mean you'll need fewer visits. 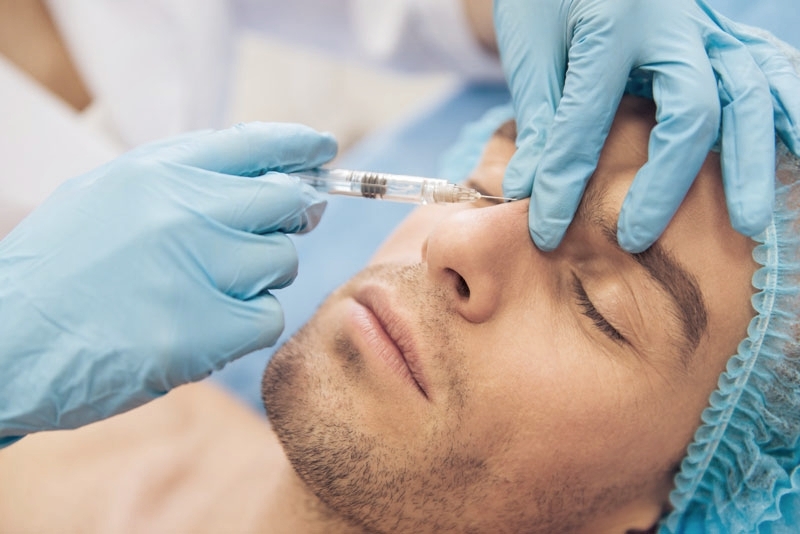 As advanced aesthetic practitioners, Malcolm and Katie Campbell can also use injections for the lower face and neck. Wrinkles on the upper part of the face, around the eyes, nose and on the forehead are often of concern as they can give the impression of an aged appearance. They can be treated alone, but more commonly are addressed as part of a whole face rejuvenation programme. Anti-wrinkle injections (Botox® or Azzalure®) have a wide range of uses for both wrinkle reduction and prevention. Frown lines: Reduction and prevention of the vertical lines between your brows, often caused by frowning. Crow’s feet: Reduction and prevention of wrinkles in the outer corners of the eye, more noticeable when smiling or laughing. ‘Botox’ brow lift: Non-surgical brow lift to raise and re-contour eyebrows. Jowl lift: Reduce neck creases and help improve definition of the jawline. Smoker’s lines: Reduce smoker’s lines caused by puckering of the lips. This improves the appearance of the outline of the lip. Hyperhidrosis (excess sweating): Blocks the nerves that activate the sweat glands to help alleviate embarrassment of excess sweating. Anti-wrinkle injections (Botox® or Azzalure®) are used in anti-aging treatment to soften and prevent unwanted lines and wrinkles. They are most commonly used in the upper third of the face. Most people will feel something when the treatment is being performed. However, the procedure is described as painless by most people. For particularly nervous patients, a numbing cream may be applied.